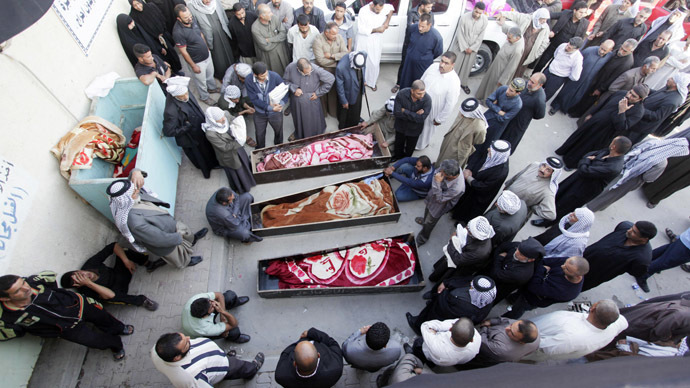 ​A total of 8,868 people, including 7,818 civilians, have been killed in violent attacks across Iraq in 2013, the United Nations reports – the highest annual death toll in the war-torn country in five years. 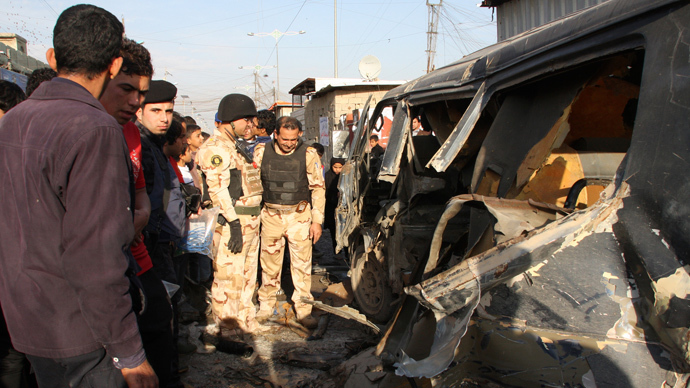 In December alone, at least 759 Iraqis were killed and another 1,345 wounded in terrorist attacks and violence, reports the UN Assistance Mission for Iraq (UNIRAQ), which monitors the impact of armed violence and terrorism on Iraqi civilians. 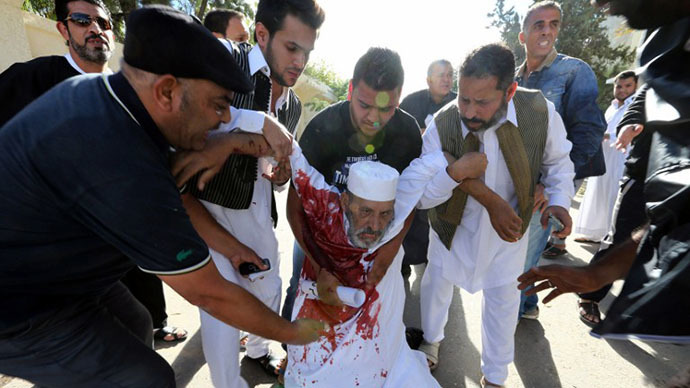 May was the most violent month of 2013, according to the mission’s statistics, with a total of 3,154 civilian casualties (including civilian police), of whom 963 people were killed and 2,191 wounded. 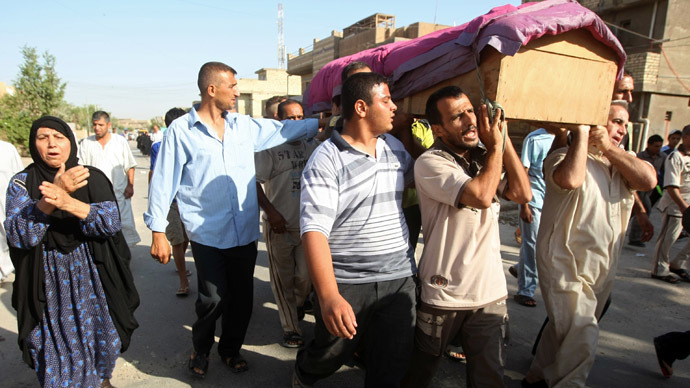 Since April 2013, the monthly number of civilians killed and injured remained above 1,700. According to UNIRAQ, Baghdad was the worst affected area in Iraq last year for civilian casualties, with 809 (including 254 killed), followed by Nineva (331 casualties), Salahadin (262 casualties) and Diyala (260 casualties). 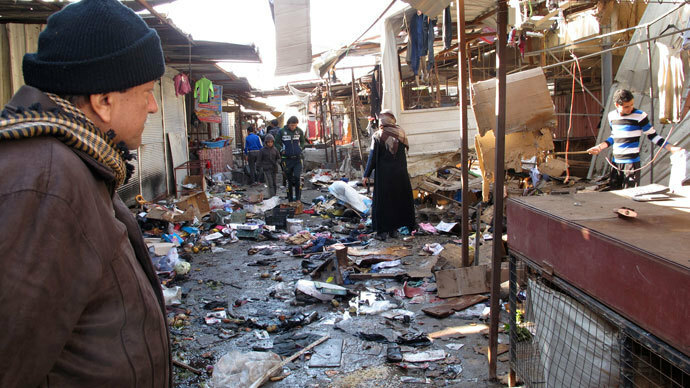 “This is a sad and terrible record which confirms once again the urgent need for the Iraqi authorities to address the roots of violence to curb this infernal circle,” said the Special Representative of the UN Secretary-General for Iraq (SRSG), Nikolay Mladenov. 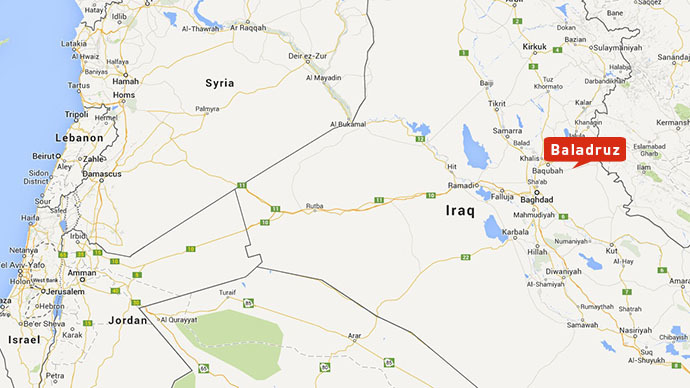 The mission chief also recently expressed his concerns about the situation in Anbar province, where Islamist militants stormed police stations on Wednesday, seizing weapon caches and freeing over 100 prisoners. 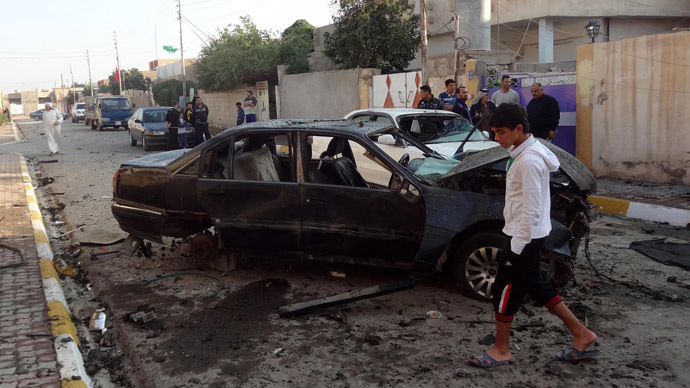 The attacks were caused by deeply-rooted sectarian tensions between Iraqi Sunni groups and the Shiite-led government of Prime Minister Nuri al-Maliki. 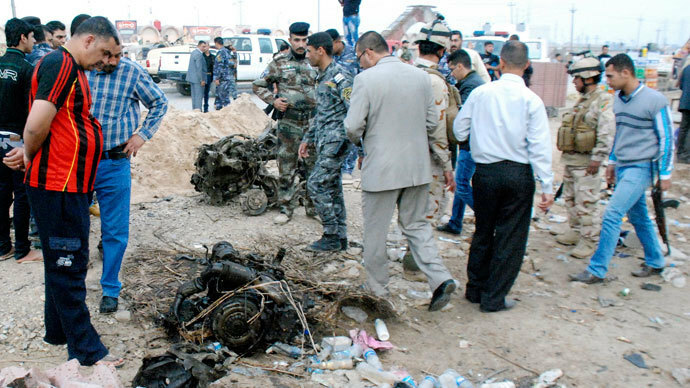 UNIRAQ is not the only organization that counts casualties in the country. 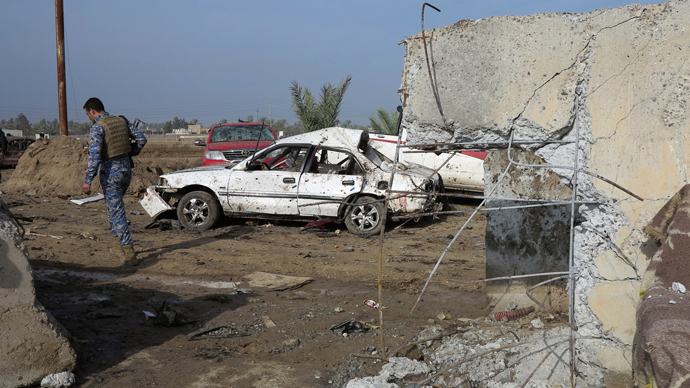 The Iraq Body Count (IBC) project, a web-based effort to record civilian deaths in Iraq, has recently released its own report. 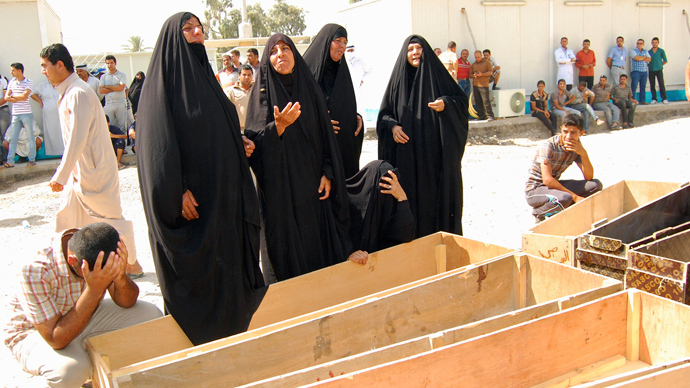 According to IBC, nearly 9,500 civilians died in violence in Iraq in 2013. 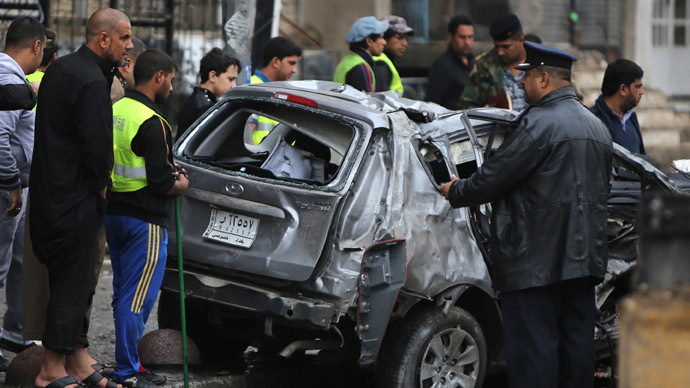 “Al-Qaeda in Iraq has found fertile ground and has attacked the Iraqi government … by killing members of its army, its police force, its politicians and journalists, as well as its Shia population. Indeed, the last six months have seen the massacres of entire families, as they sleep, or travel to a holy place, sometimes 5, sometimes 12 family members at a time… The faults are now as wide and as deep as trenches,” the IBC reports. Dubbed by RT “the year of carnage”, Iraq indeed saw its deadliest time since 2008. After the bloodiest period of 2006-07, the tensions seemed to ease a little a result of the US military’s “surge” strategy. However, after US troops left in 2011 Iraqis were left to come to terms with nearly a decade of war. It soon became clear that the deep inter-ethnic fissures that almost tore the country apart were merely bandaged, but not remedied. 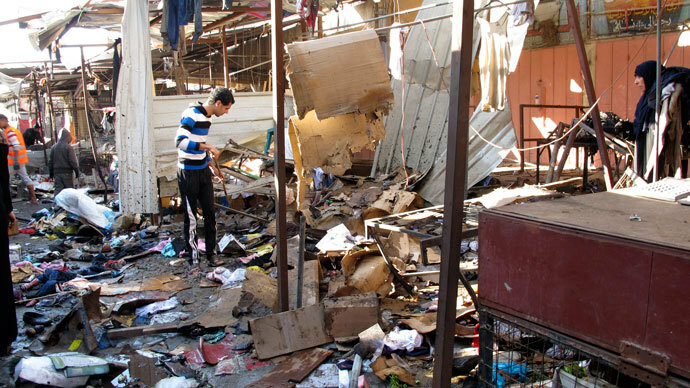 Hardly a day goes by in Iraq without dozens killed or injured in numerous blasts outside schools, mosques or crowded markets, as the terrorists and sectarian gangs kill indiscriminately, including women and children, the disabled – and even pilgrims who come to worship Allah. Almost every day, mourners stand near coffins draped in shrouds during the funerals of victims killed in this all-too regular violence.